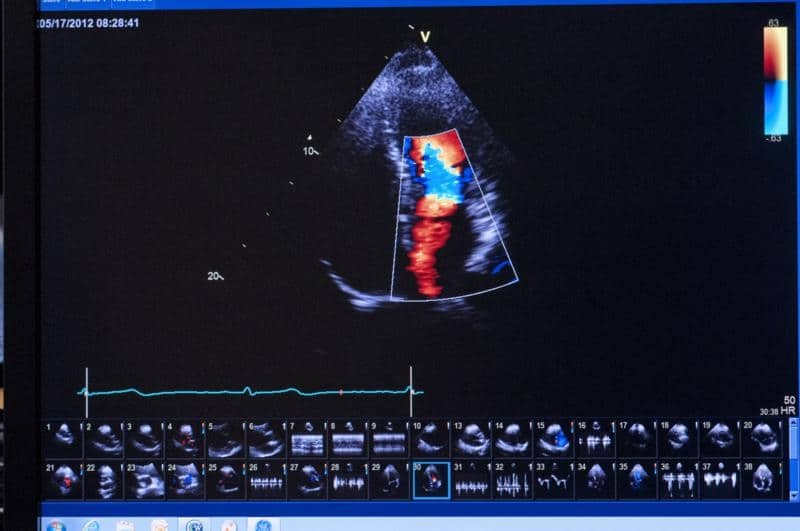 An echocardiogram (echo) uses ultrasound to create images of the heart in real time. Once we have images of your heart, we can measure all four chambers’ sizes and the heart wall thickness. We can also evaluate the structure and function of all four heart valves. WHAT IS THE BENEFIT OF AN ECHOCARDIOGRAM? An echocardiogram is a very simple, but useful diagnostic tool. The information provided from an echo can be used to assess the day-to-day function of the heart (i.e., how much blood the heart pumps with each beat, known as the ejection fraction). Murmurs are a common finding, which doctors can hear with a stethoscope. Echo allows us to visualize the causes of a murmur and to evaluate its severity. 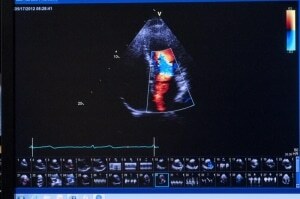 Echo studies also allow us to evaluate the outer lining of the heart for the abnormal presence of fluid. The technician will ask you to lie on your left side while he/she acquires the images necessary to complete the study. Small amounts of water-based gel and a few stickers will be placed on your upper body. The entire test usually takes between 20 and 30 minutes. WHY IS IT IMPORTANT TO USE AN IAC ACCREDITED FACILITY? 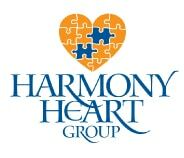 Harmony Heart Group carries this accreditation and meets these standards. 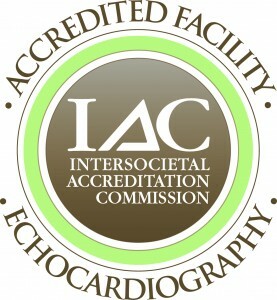 Patients can learn more about the IAC accreditation by visiting www.intersocietal.org/echo/main/patients.htm.